I probably go on six to eight proposals a week here and some I get and others I walk away from. I understand in today's market that everyone is knowledgeable and has plenty of shopping savvy but folks, we need to take a few steps back when it comes to leasing copiers or going into a service agreement with one. I have been in this business for 30 years, I know the pricing and what it takes to "properly" maintain copiers with genuine parts & supplies. I have seen proposals by companies on Long Island that are just hard to believe. There is an old saying, if it is too good to be true be wary. If you decide to go with the absolute cheapest price on a lease copier, then when you wait for service or are just NOT happy with the overall experience with the dealer, you got what you paid for. Paying the cheapest price and getting the best service, pick one of these because you cant have both! be happy with your decision. Aside from the physical aspect of the 5 year copier lease, why would you want to be tied into a copier company for five years? I have seen the largest companies out out of business or if they didn't go out of business, I have seen their service dept. go downhill. Which in return means a longer time waiting for a service rep to show up or inadequate parts in stock, which would mean a tech shows up, diagnosis that you need a part and you don't see them back for a week or longer! Copier companies & salesman or furious at me for writing such a blog, they know that I am letting out the secrets of the business but isn't it about time honesty and upfront trustworthiness prevails? The 90's are back in full force! every week I go out to meet new customers and they are complaining that they are waiting for service and want to move their business to us! From time to time I will go on a sales lead and the customer will ask me if I can get them out of a lease. I would like to be clear on this, once you sign a lease, you are stuck in that lease for the entire time you signed in for. Will a salesman BS you and say “yea we can get you out” sure they will but you can only get out one way, and that is if you buy out your lease. The salesman will call your leasing company and asked them for the buy out price,which will include the additional cost if the leasing company charges if you end a lease early. They take that amount and they tack that onto the price of your NEW copier. Yes it is a very hefty dollar amount but someone has to pay for it (YOU). I what the salesman will try to convince you on doing is locking you back into a 60 month lease! They salesman and leasing company will make more money by booking you into a longer lease, yes your monthly payments will be smaller but you will end up paying more. What did you think? the smiling salesman was going to absorb this hit? He nor his/her company or the leasing company will ever do this, you are on your own! Now, I have been writing and preaching for more than 10 years now, why you should never go into a five year lease, over and over and over again. When you have a high volume office and you are doing 150k – 200k or better a year… you should lease a machine for THREE YEARS FMV ! after the three years, your machine will be at around 600k, this is when things break down and major pms are needed, why go forward with the same machine? after all you are leasing and you will continue to lease, mine as well lease something fresh every three years! Customers with moderate volume or low volume, I recommend they lease with a $1.00 buy out so you can enjoy lease free months after three years, after all, isn’t that everyone’s goal? to keep monthly payments to a minimum? The salesman wants to sell and will do anything to sell that machine to you. You can not get out of a lease without YOU paying dearly. Not even the biggest law firms can get out of a lease, trust me, I have been doing this well over 20 years. 3) Take anything a copier salesman says with a grain of salt. Wow, I have not heard this in years! I mean, we live in an age where business can not afford to be sloppy and to be prompt is everything now a days…. 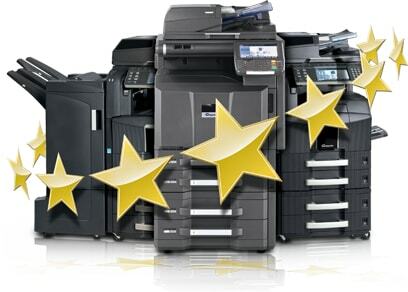 We picked up a customer yesterday who has four machines, two Kyocera/Copystar copiers and a few HP laserjet printers. How could a copier service company on long island neglect this? I guess the company got too big? I guess some companies wont pay any attention to you unless you have 20 machines or more? I am very shocked by this but heck, we picked up a new customer who paid, right on the spot! They are also considering upgrading the Copystar cs5050 to a new copystar cs5500!. Just like the big box stores like Home Depot, you can go there, go in there, find stuff…. but good look being taken care of like you would get at a small local hardware store. PJD Business machines is like that small local hardware store. You like fast reliable and knowledgeable technicians? give us a try, what do you have to lose unless like like waiting two weeks or more for parts. 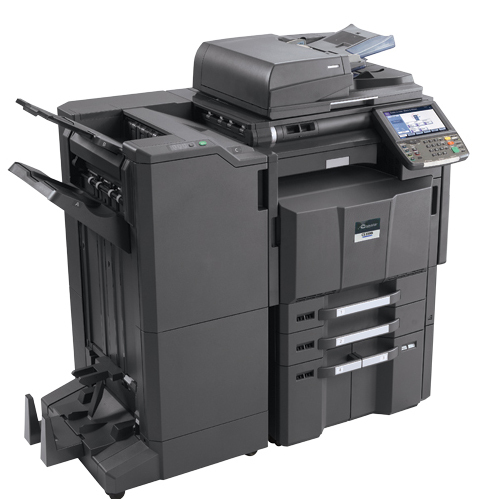 I often get call from people looking for information about copier machines and many times, they do not understand the difference between the two. I will try to explain it simply without going into a long boring post. When you ask to “rent” a copier, this is typically for short term use. A rental can be from 1 day to 6 months usually. Yes there are exceptions like if you choose to accept a machine with all inclusive service from a company that you have developed mutual trust for but this is not very common. Now follow along here with me…. No matter if you lease or rent, either will cost you a lot more then if you purchased the machine outright. Let me repeat this, when you lease or rent, you WILL be paying a lot more for the machine, plus you will be paying for fees like one time document processing and other hidden fees built into a lease that a salesman will never tell you about. So, I am not going into detail on this blog but I just wanted to answer your question on the difference of both. If you are looking to save as much as possible, if you are looking to get the machine at the rock bottom lowest cost, then you PURCHASE the machine outright. If you do not have the money to purchase outright, then you lease the copier, if you lease, you should not do more than 3 years, if you are looking to get the most out of your lease/copier, then you should be considering a dollar buy out lease. 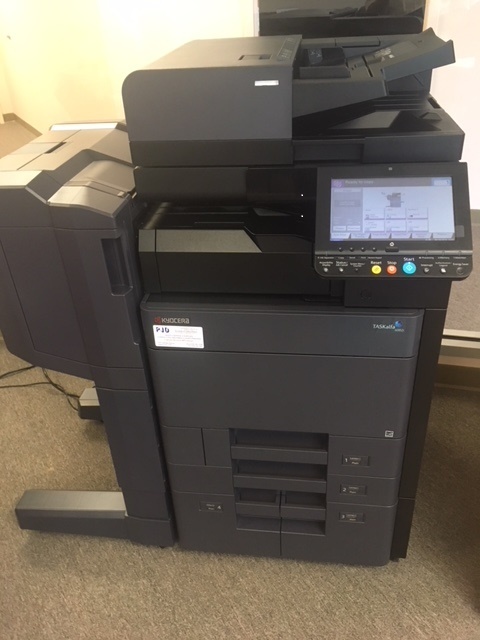 If you are planning an event where you need a copier or you have something going on at your office and want an additional copier to supplement your current machine then you could “rent” a machine. Short term rentals is our specialty. Feel free to ask any questions, I will respond quickly and give you the most honest professional solution for your office equipment needs. Do you see that HP Laserjet printer in the photo? do you see that genuine HP 4250 maintenance kit box? That genuine maintenance kit gets replaced when your HP Laserjet hit around 200k-225k. HP sets this interval inside the printer so when it hits the 200k mark, a message will be displayed that says “Maintenance kit needs to be replaced”. This is done so it virtually eliminates any down time due to part failure, you see, all the parts in this kit are the consumable parts that normally wear out and cause printer issues like jamming or poor print quality. We stock these maintenance kits, we have them fresh and newly manufactured. These kits are not cheap, they cost US over $200.00. So I bet your asking, why are you telling us this??? I just wanted to give you a little background on this before I go into our refurbished printers. All our refurbished laserjets gets these kits installed along with other parts, we also either replace or renew all the printer panels to make the laser printer look like new! I often see advertised on the internet, HP Laserjet 4250n printers that are totally refurbished for under $250.00, my question is, HOW CAN THAT BE? how could someone be offering a refurbished laser printer at the same price a genuine HP maintenance kit cost? It does not make sense because it is not true, it is impossible that this can be true and I just want you to be aware of this. What these so call refurbish companies or fly by night repairman are doing is a spit shine, and the printer will last the 30 days and then it will fail. If it seems too cheap, it is not a properly refurbished printer. We have been refurbishing laserjets for 20 years, we only use genuine parts and all are printers come with a full 1 year warranty. We can offer a full year because we know the job is done right the first time using all OEM Genuine HP parts, even the toner will be genuine HP toner. If you are looking for a HP printer like the HP4250N, fully refurbished and guaranteed, look no further and give us a call. We have a great selection of HP Printers in stock. With the Summer months upon us, with high humidity comes issues with the paper you load in your machines, I can try to save you money here $$$, if all of a sudden, your copier or printer will not feed paper or it jams…. first thing you should do is take out the paper in the tray, put it aside and NEATLY open up a ream of fresh paper, I say NEATLY so after you take what you need, you can properly close the package up to ensure dampness keeps out! Now that you have the “fresh” paper in your hands, fan the paper out and install it into the machine and run a test. If she feeds fine then you know it was the paper. Remember that it only takes 15 minutes for humidity to set in. I have customer who call us on Monday morning and say the copier is jamming, I ask them if the ac is on and they tell me yes, I ask them was it turned down or off over the weekend and they say Uhmm, yes… well there you go. Not only does damp paper/humidity cause jamming but it also causes copy quality issues, you will never get good solid black print with damp paper! it will appear spotty, washed out looking. A washed out copy is a very good indication that you have a paper issue, again, take paper out and install fresh paper from a package. Never take paper out of the package and pile it on the shelf, its just inviting troubles. Taking the proper steps in preventing paper issues will save you money and more important,will keep your equipment up for your business. Your office machine fails and you need a service provider to properly repair it, this could be a daunting task, so many companies out there to choose from. I want to give you a a little tip that you will appreciate. A copier/printer company whom sells and repairs machines can only handle a few lines at a time to properly and effectively handle service. If you see a company that advertise that they sell and repair A to Z products… I will bet my last dollar that they are not very good at either sales or service, even a MASTER technician such as myself and a few of our workers at PJD Business Machines can not handle every manufacture line. Trust me it is impossible to do this. So when you see a company advertise we fix them all…. RUN from that place!! A normal sales/service company can handle up to 3 manufactures to properly service your equipment. Remember the old cliché? “A Jack of all trade and a master of none” ??? well it holds true. This is why many internet company just sell machines, oh they may promise on site service, yea right, from who? from where? Even local companies lets say on Long Island may say we fix A to Z, having these people come to fix your machine is taking a chance, not only are they NOT qualified to repair your machine, you will be waiting days or weeks for part replacement. By the way, we at PJD Business Machine only sell three brands, Canon, Kyocera and HP, we only service three brands, Canon, Kyocera and HP. 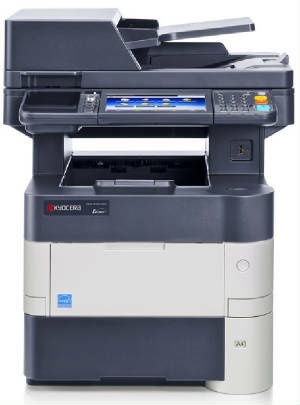 If you call us for Konica Minolta or Xerox, or Ricoh, we will tell you no. So when searching for a service provider, ask them what manufactures they represent? ask them what is the turn around if you needed a part, here is a better way to find out if the company is equipped to service you and your machine, ask them if they have toner in stock TODAY for your machine!!! Ok here it goes, Salesman use a trick or let me say uhmmm a technique , in order to compete with their competitors and let me tell you, the copier sales is very competitive, anyways, in order to win the bid with customers who are looking for PRICE ALONE, the salesman will under estimate your yearly/monthly copy volume, by doing this, he will eliminate most other bids. So you go with the salesman who gave you the lowest bid and after a few months you notice that you are getting overage bills sent to you, next thing the company says is that if you do not pay these overages, we will NOT come to service your machine!! You know and THEY know that you can not break a lease, they got you! now you must monitor how much you put on your copier, just like leasing a car, if you lease a car for three years and you go over, you have to pay! same scenario with copiers and if you are leasing color copier LOOK OUT! this can be very expensive and foolishly costly!! What some companies may do to get into the door… They tell you over the phone that they charge $75.00, it sounds great until you see the final bill. In most cases the bill will be in the mid to higher 100′s. Like the salesman’s bait & hook we wrote about in another blog, this one is about service. When you call in for service, no matter what it is, fax machine, laser printer, copier, whatever, find out about the service fee and what it includes, ask the company what happens when the technician goes over the 1 hour mark, ask the company if they charge EXTRA if the machine needs a part and the tech has to come back to install it. Asked the company over the phone if they have some idea in what the problem can be so you have an idea what you are in for.